Discover the historical context and contemporary forms of this rich, tactile medium as practiced for centuries in some of the most beautiful settings in the world, and participate in a hands-on learning experience of this timeless art. You will see the sublime high points of Mediaeval craftsmanship embodied in the 15th C. suites of the Lady and the Unicorn and the 14th C. Apocalypse. 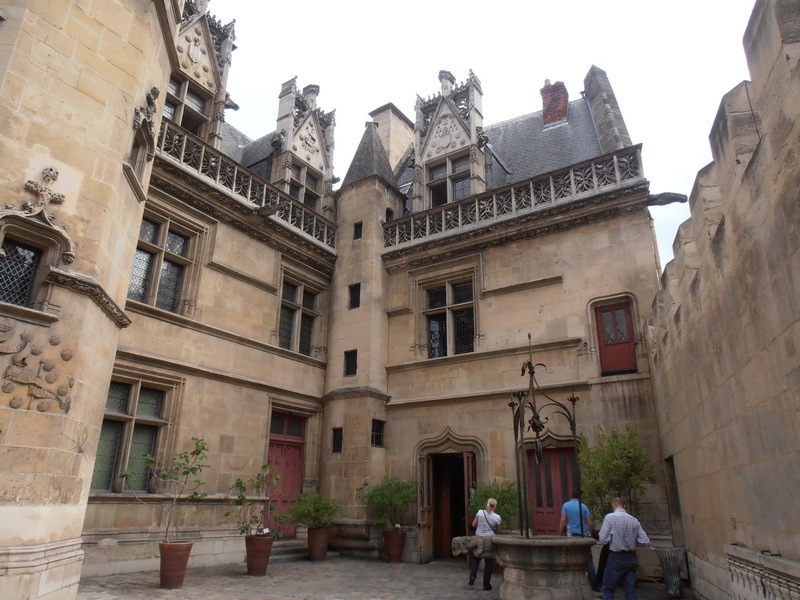 In Paris you will tour the famed Royal Gobelins Workshop and delight in the treasures of the Musée du Moyen Age. 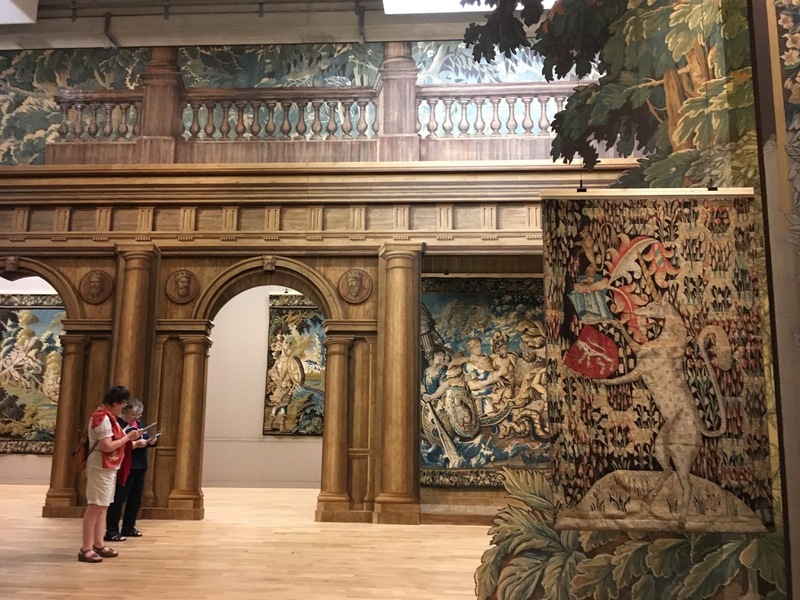 A visit to the historic centre of Angers to see the Musée Lurçat will deepen your appreciation of the traditions and techniques of tapestry that still inform the creation of modern works of art. 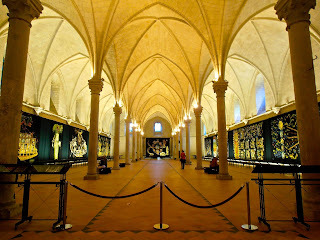 And for the first time we will be seeing the Musée Dom Robert in the spectacular setting of the Abbaye – Ecole of Sorèze. 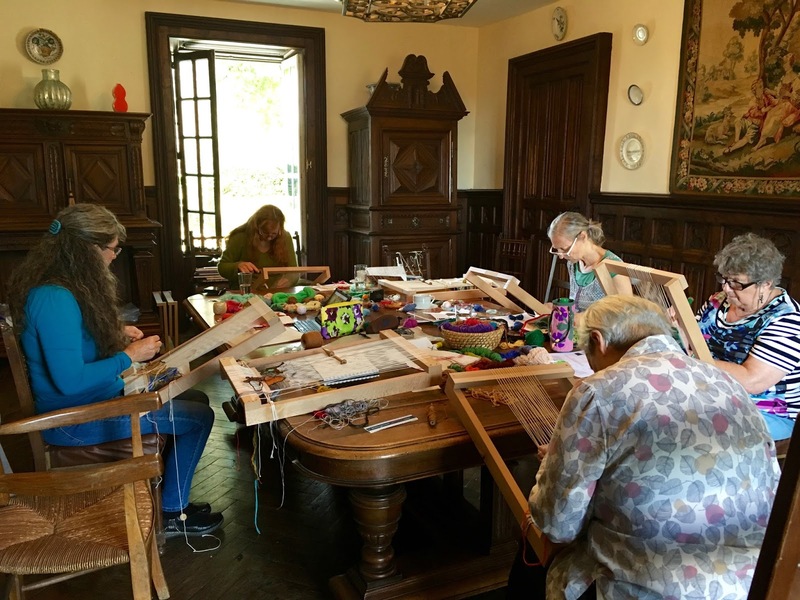 This exciting study tour will be rounded off with a three day workshop at the Manoir du Bost in the heart of France to learn tapestry technique first hand. 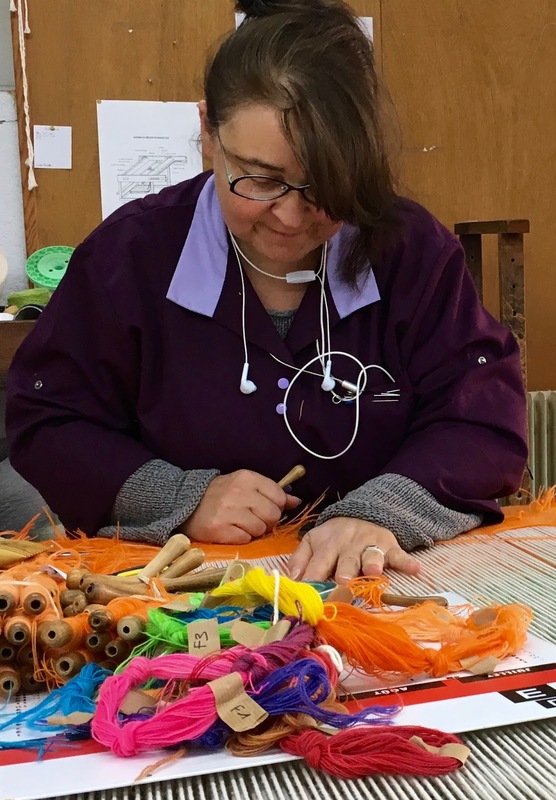 Conducted by Cresside Collette, tapestry artist, scholar and teacher, it will include day trips to nearby Aubusson and Felletin, the towns in the heart of the Creuse that are synonymous with this craft. Check into Hotel Central St. Germain, 3, Rue Champollion, 75005, Paris. The Left Bank location is well situated for all our activities. 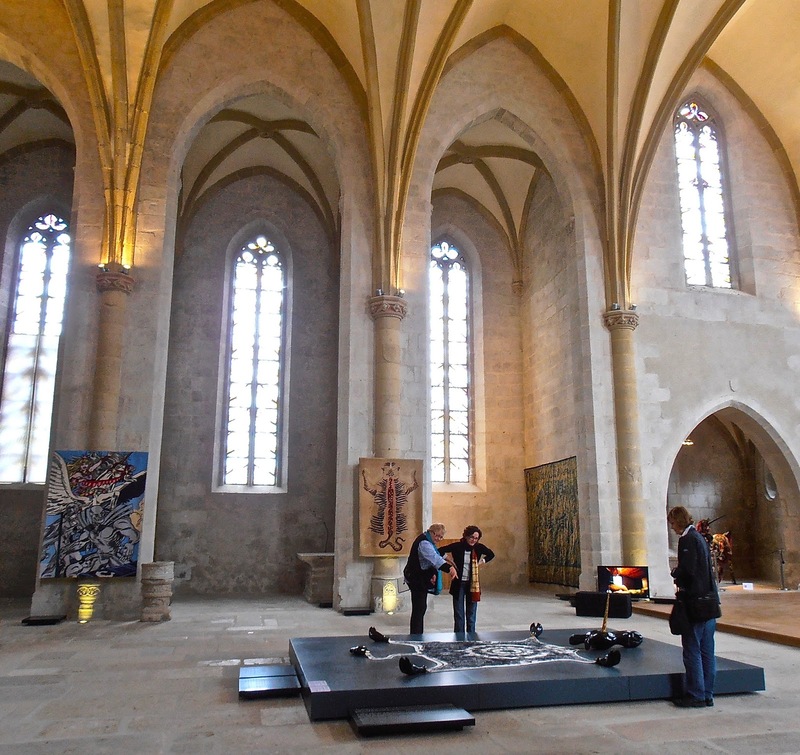 A walk around the corner brings us to the wonderful treasures of the Middle Ages housed in the Musée du Moyen Age. This year we will celebrate the sublime La Dame à la Licorne in its renovated setting. Other suites of Mediaeval tapestries on view include The story of St. Stephen, The Offering of the Heart and Aristocratic Life. A free afternoon follows to experience the delights and galleries of this great city. 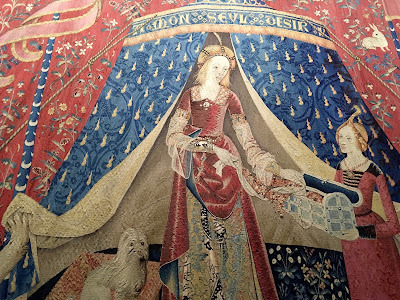 A free morning, then a special guided tour of the Gobelins Tapestry Workshop. The most important and long running workshop in the world situated in the 13th arondissement, Manufacture des Gobelins was founded as a dye works in the mid-15th century by Jean Gobelin. 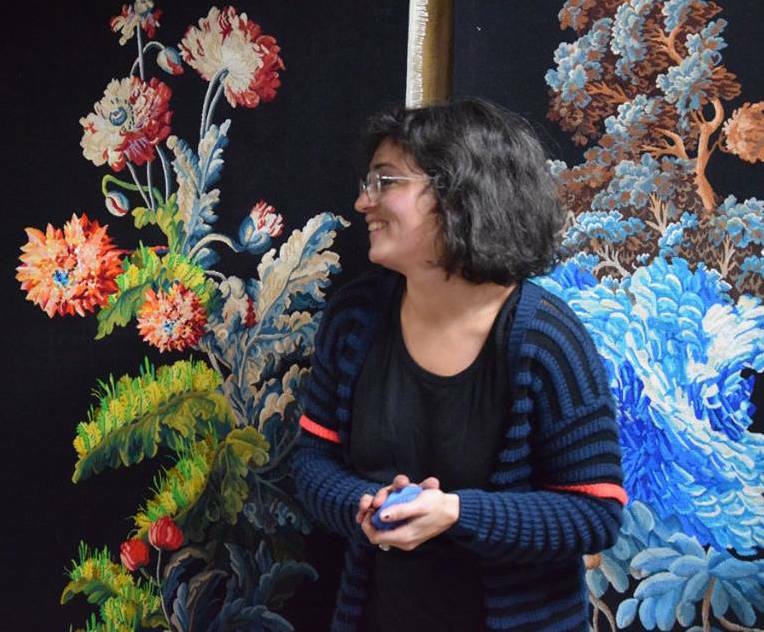 In 1662, Louis XIV purchased the manufactory, and minister Colbert united all the royal artisans, creating a royal tapestry and furniture works. It has specialised in tapestry from 1697. Private coach to Angers. 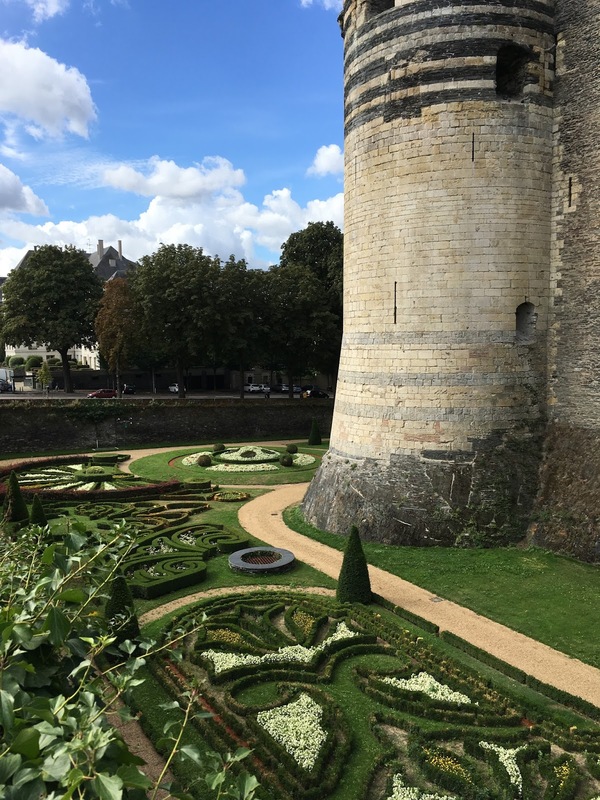 This historic town in the Loire Valley yields one of the most exciting experiences of the tour, viewing the 100 metre long 14th C. Apocalypse tapestry, the Book of Revelations made visible. Housed in the fortress chateau it is an overwhelming sight. 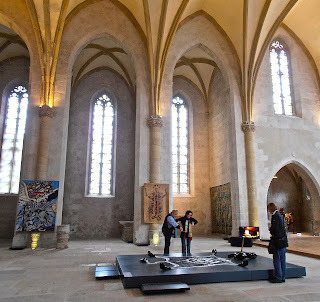 After booking into a quaint country style hotel, http//www.hotel du mail we stroll through the Mediaeval town to make an afternoon visit to the Cathedral that houses a large collection of tapestries. A morning visit to the Château to view the Apocalypse Tapestries. Afterwards, a chance to explore the many delights of the garden and buildings. An afternoon at the Musée des Beaux Arts that each year offers a variety of changing exhibitions. A stroll along the river to see Lurçat's answer to the magnificent Apocalypse, his Song of the World suite of ten tapestries woven from the mid 1950s to the mid 1960s reflecting on the atom bomb, the apocalyptic event of the 20th C. They are displayed in the heritage 12thC. St. John's Hospital. 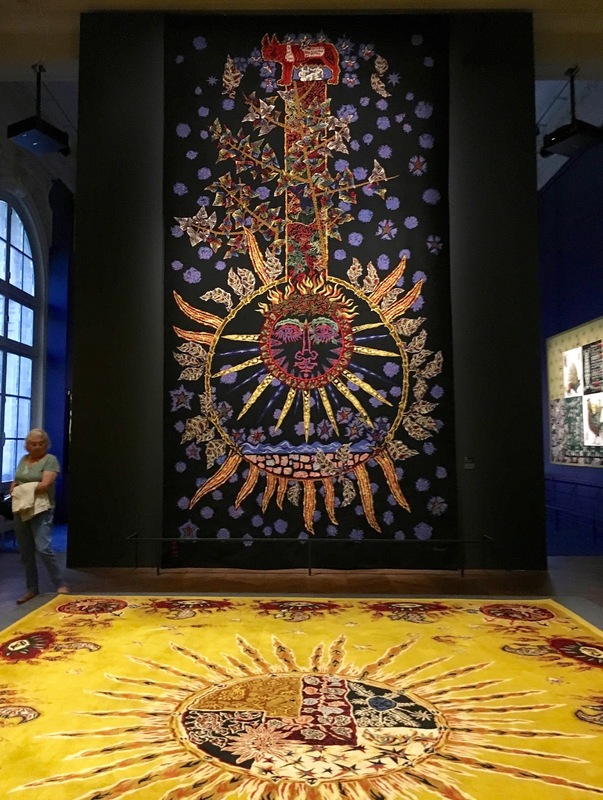 Musée Jean Lurçat exhibits contemporary tapestry from around the world and this year will be hosting the International Miniature Textiles exhibition – seventy miniature textiles from around the world. Private coach to the beautiful historic town of Toulouse. Check into the Hotel Pullman Toulouse Centre that is a ten minute walk to the historic sites. 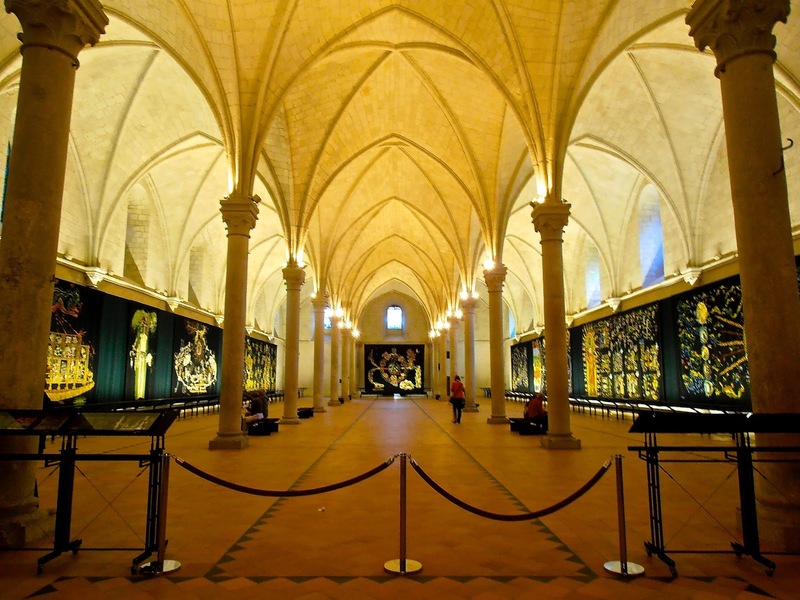 Attractions include the Romanesque Basilica Saint-Sernin and the Cathédrale St. Étienne that has a collection of thirty 16th and 17th century tapestries. 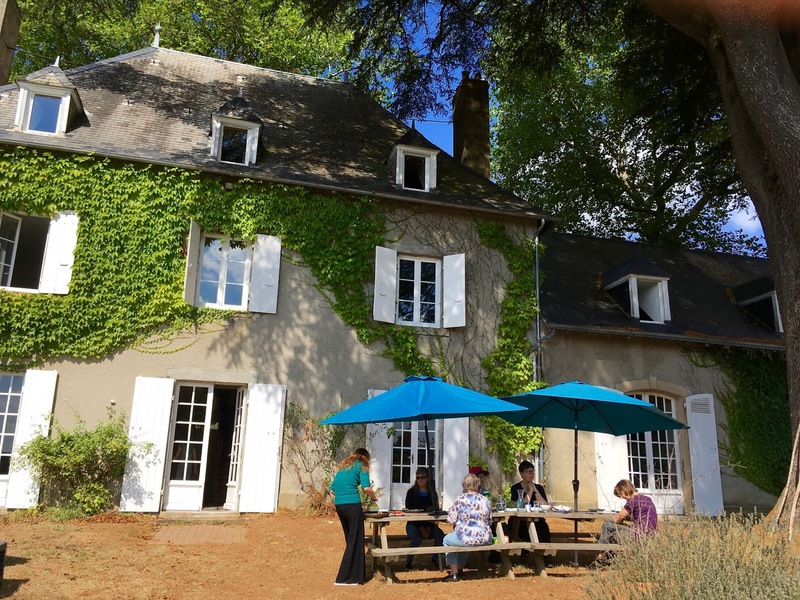 Coach to the secluded Manoir du bost located near the town of Bourganeuf. 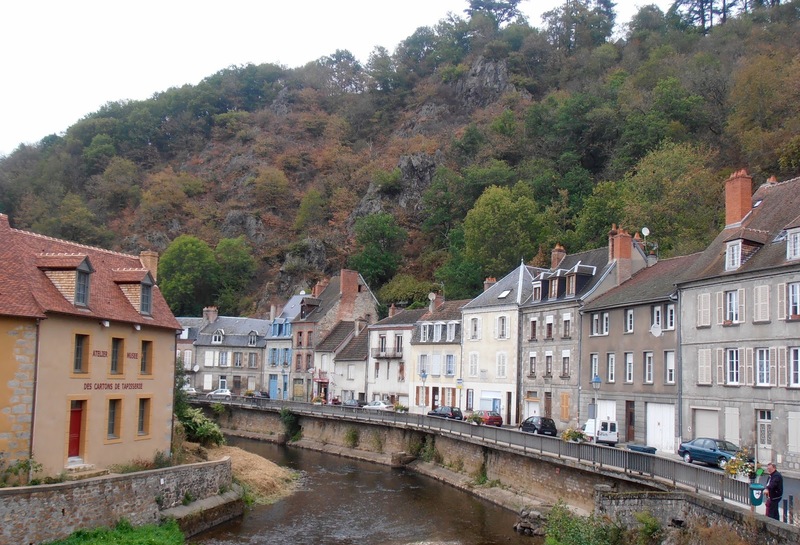 Located a thirty minute ride from the manoir, this pretty town in the heart of France has existed on its weaving industry since the 14thC. Under the guidance of Susanne Bouret, conservator of textiles and local resident, we will stroll its streets and visit the individual ateliers open to the public as well as more formal centres. Musée de la Tapisserie. 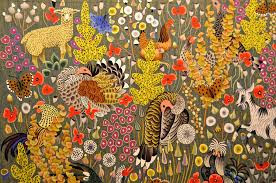 www.cite-tapisserie.fr This exciting new gallery and Centre for Tapestry opened on July 10th 2016, and shows a wonderful collection of both historic and groundbreaking contemporary works. 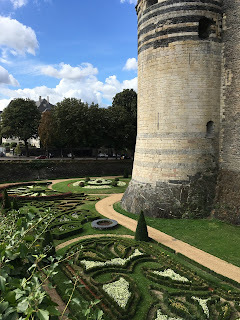 Chantal Chirac restores tapestry cartoons and runs a cartoon museum for their display and preservation in a picturesque building on the Pont de la Terrade. 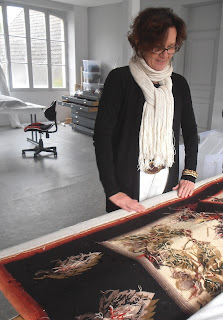 The conservation studio of Susanne Bouret is at the Terrade, next door to the Chirac Musée de Carton. 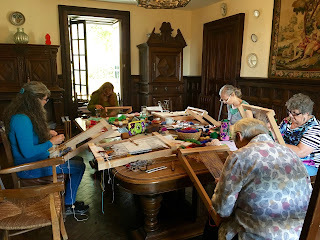 Then an afternoon visit to the Église du Chateau to see the annual tapestry exhibition that incorporates the most innovative work produced in the previous year. And the Terrade family wool manufacturing plant that was established in 1912. They also have a dyeshop that supplies all the tapestry yarn to Ateliers Pinton. Return to Paris by coach, end of tour. Cost: $4,699.00 (AUD) for twin share, $5,695.00 (AUD) for single room. Group size: 7 minimum, 10 maximum. Hotels mentioned in the itinerary are subject to availability and others of similar quality may be substituted. This itinerary has been prepared with the assistance of Ian Jane at Bentleigh Travel who will be making all tour bookings. Tour designed and authored by Cresside Collette, 2011, 2012, 2013, 2015, 2016, 2017. 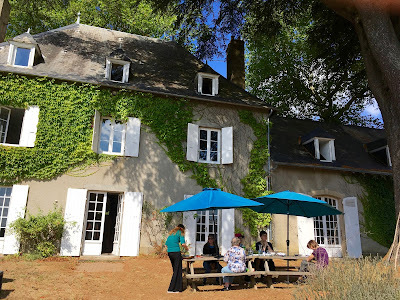 Hello Cresside - Looking forward to hearing about this year's Tapestry Tour and seeing photos of your group enjoying the experience. All the best for a wonderful time. waoo nice post about "Tapestry Tour 2017"
thank you very much for sharing post.